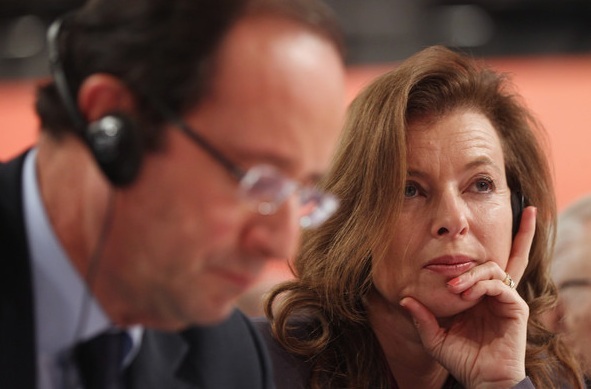 Valerie Trierweiler, a French political journalist, is shown in this image next to her partner and French Presidential candidate, Francois Hollande. She is displaying a classic critical evaluation cluster. 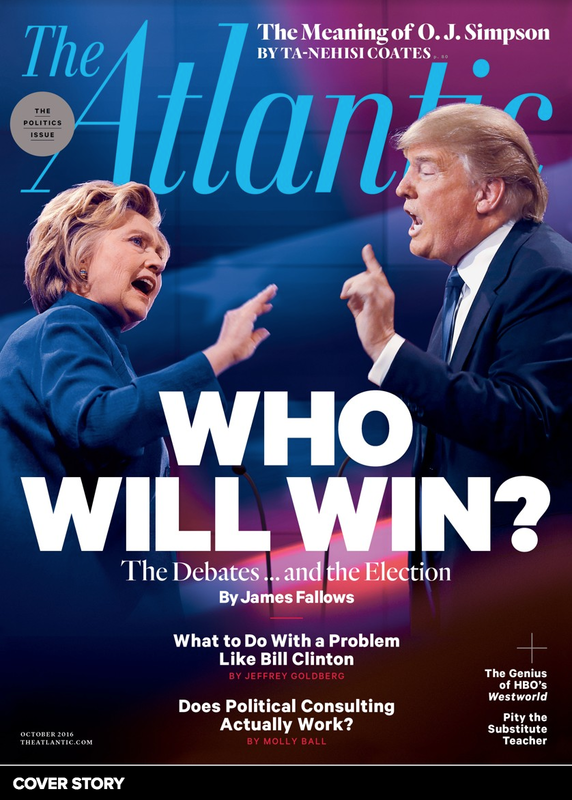 Her thumb is supporting her chin, her ring and fifth finger are adjacent to her mouth, and while her index finger is not visible (behind her ear piece, perhaps retracted) her middle finger is well on display in a partial emblematic slip - subconsciously directed to whom she is listening. An emblem is a body language signal, the meaning of which is well understood within a specific region or country. However, very often an emblem in one country has a completely different meaning in another country - so one must be very careful in their interpretation and usage. Some emblems are universal though - and such is the case with the middle finger display. When a partial emblem is used - nearly always in a subconscious manner, it is used in an unconventional location - here on the side of the face rather than in its more obvious (and fully conscious) conventional location. Note also that Ms. Trierweiler's left eyebrow and forehead are elevated (her right side is relaxed) - indicating her disbelief in what she is seeing and/or hearing. Other common signs often seen as components of this cluster (but not seen in this particular example) include: the fourth and/or fifth fingers covering her mouth (an even stronger disagreement with what is said and/or suspecting deception), if the opposite arm were crossing her stomach or chest (defensiveness & closed mindedness) and/or if she were leaning back in her chair (withdraw). Hollande is favored to win the second round of voting against the incumbent, Nicholas Sarkozy on 6 May 2012.